Is Kelly Ripa protesting Disney's treatment of her talk show? It sure looks that way. Ripa was absent from Wednesday's "Live with Kelly and Michael," and she won't be back until next Tuesday at the earliest. ABC said in a statement that fill-ins will continue to co-host with Michael Strahan on Thursday, Friday and next Monday. The network said Ripa had a "previously-scheduled vacation" set for Friday and Monday. But it said nothing about why she will be absent on Thursday, fueling behind the scenes claims that she is furious with ABC management. The controversy started on Tuesday, when ABC announced that Strahan is leaving "Live" after four years to join "Good Morning America" full-time. Neither of them were happy about it, according to numerous reports. TMZ described her as "caught off guard," and "livid" at ABC's owner, Disney, for disrespecting her long-running show. One of CNNMoney's sources confirmed: "She is beyond angry. Beyond." Another source, who blamed ABC for mismanaging the situation, said, "It's a mess." In response to questions, a spokeswoman for the show said Wednesday morning, "Kelly had the day off today." On Wednesday evening, the spokeswoman said, "On tomorrow's 'LIVE with Kelly and Michael,' Erin Andrews will guest co-host with Michael Strahan. Friday's show -- which already was scheduled to pre-tape on Thursday -- also will be co-hosted by Andrews. Kelly Ripa will be out on Friday and Monday for a previously-scheduled vacation. On Monday's show, Michael will be joined by 'Pretty Little Liars' star Shay Mitchell." I love Kelly Ripa's passive aggressive sick day. Celebrities have office drama just like us! Ripa is beloved by the millions of women who regularly watch "Live" right after "GMA." Her 15 year anniversary on "Live" was celebrated earlier this year. There are natural synergies between the shows -- which is why Strahan has already been appearing on "GMA" twice a week -- but there are competitive tendencies, too. While the Strahan move is designed to shore up "GMA," which has shed some viewers this season, it could come at the expense of "Live," which now has to hold another public search for a co-host. 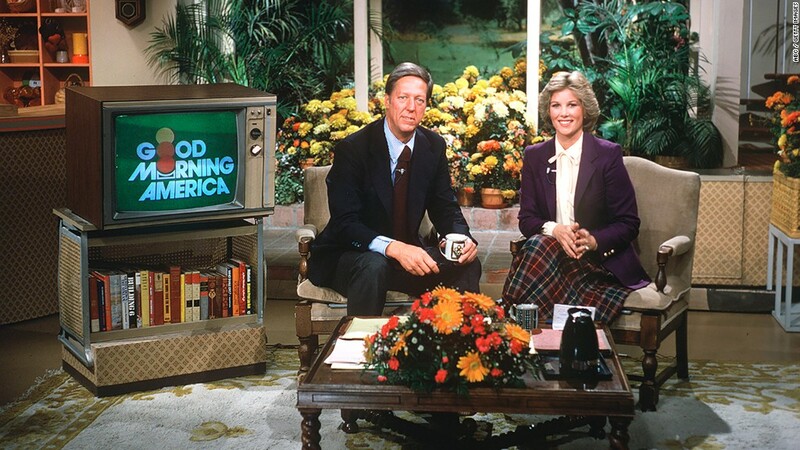 On Wednesday morning he started the show by talking -- with Gasteyer instead of Ripa -- about his departure. He didn't say much about Ripa. But he said, "I'm always available to guest co-host; I'm always going to be a part of this family." Strahan also noted that he's not leaving anytime soon. His shift to "GMA" will take effect in September, which means there's a long period of potential drama between now and then. 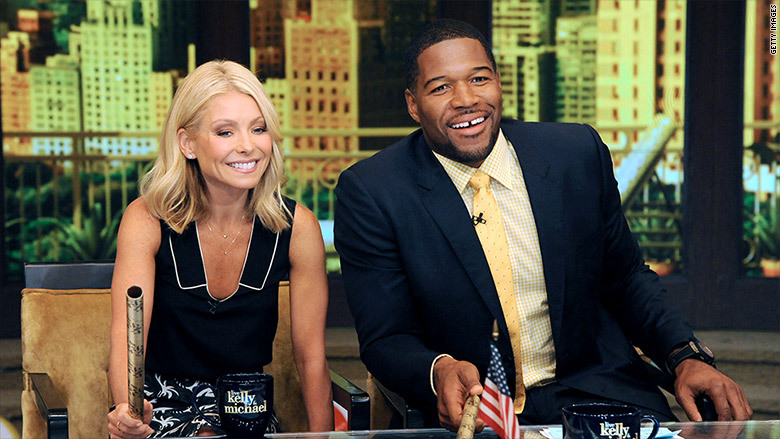 At the end of the hour, Strahan went out of his way to thank Ripa, saying, "Kelly, I thank you, I love you." At "GMA," Strahan will be an addition to the cast, not replacing any of the other hosts. On Tuesday, a senior ABC source called Strahan's "GMA" role "the next step in the development of a rock star." The source said his shift from "Live" to "GMA" "enables him to do all kinds of things he could not do before." The move has also spurred new speculation about an old idea -- that ABC News could expand "GMA" to three hours, from 7 to 10 a.m., in much the same way that NBC has a third hour of the "Today" show.